A young Viking boy named Tryggvi is exploring an island off of the southern coast of Iceland when he stumbles upon an unusual stone. Left forgotten for most of his life, the stone sat in solitude... and waited. Centuries later, a dragon is awoken from a long slumber and terrorizes the people of Maine and New Hampshire. Only the determination and resolve of a young man can save the people and put an end to the mythical tyrant. But will he be strong enough to take down the beast? 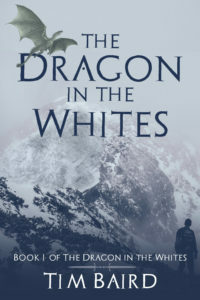 Click here to read the first chapter of The Dragon in the Whites! After their failure at the Battle of Tuckerman’s Ravine, Liam and Rob join forces with the Program to take down the dragon once and for all. Picking up new skills and state-of-the-art equipment, they’ll now be unstoppable in their quest against the deadly creature. But a chance discovery of a long-forgotten Viking relic in the mountains of Newfoundland spins Liam off on a different mindset. Is the dragon the real enemy to be worried about, or has he found himself trapped in a deadlier game? 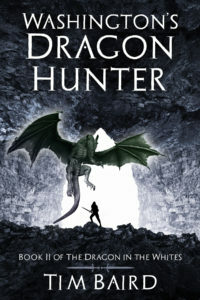 Click here to read the first chapter of Washington's Dragon Hunter!